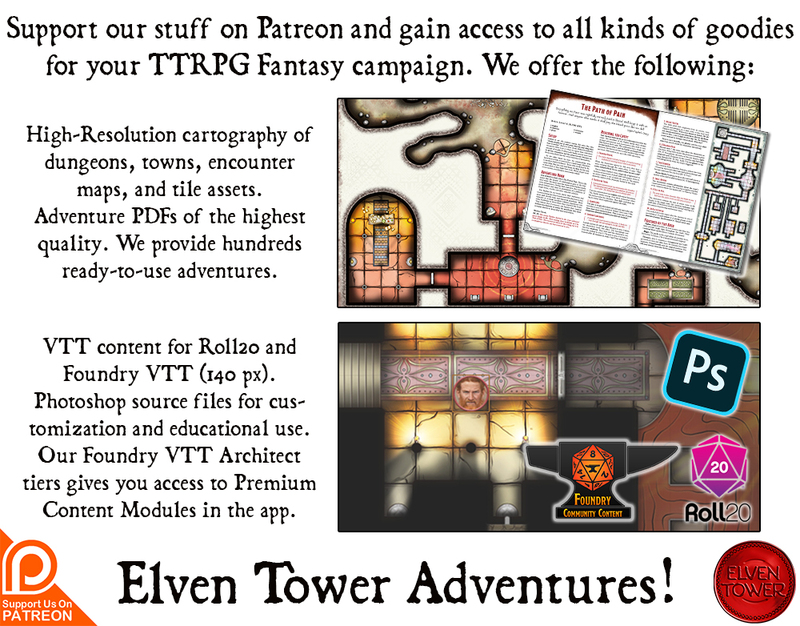 This is a multi-purpose dungeon that can be used for many different applications. Both images are the same place, just seen from a different angle. There is a pitfall trap with spikes in the second level. 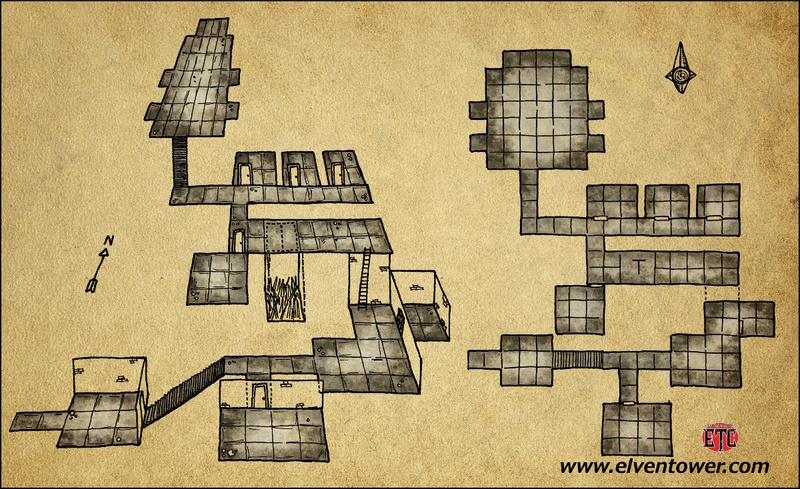 I’ve supplied two versions of the map (for my patrons), with and without the trap for DM and PC use. There are also background-less versions in .png format. Hope you guys have fun with this dungeon illustration.